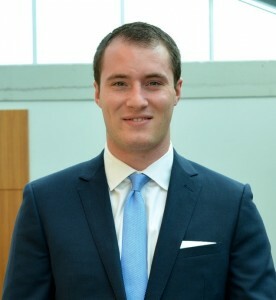 Christopher Dubois is a fourth year Bachelor of Commerce student, majoring in Finance, and President of the Dalhousie Investment Society. He has completed co-op work terms at Citco Fund Services and RBC Capital Markets. Christopher’s performance during his first co-op with RBC earned him the opportunity to participate in their Global Markets Summer Analyst program. “I was able to secure my initial co-op with RBC through a posting on the myCareer website. I applied and was fortunate enough to receive an interview and job offer. Following that work term, I secured a position at the Global Markets Summer Analyst program for my final co-op, and I will be joining RBC full time next fall as an Analyst in their Global Markets Program. There was an array of skills that I believe led to securing this position, but it was evident that the ability to communicate, show initiative and take leadership played a large role in my success at RBC Capital Markets. As a young individual, Management Career Services is a fantastic resource for co-op preparation. They help facilitate the job search process through their workshops and online postings. For someone new to business, such as myself, MCS ensured that my resume and cover letter were professional and application-ready. Getting ready for your co-op work term? Check myCareer regularly for new job postings, book an appointment with your Career Recruitment Specialist to enhance your job search and application document, and check out our First Work Term flow chart!